Hot indoor air, cold outdoor air, and the hot showers we like to take during this season can do a number on our skin. While we often can stay ahead of this problem by moisturizing effectively, sometimes that's not enough. If you struggle with dry skin during the winter or even year-round, you may need to address an internal imbalance. In Traditional Chinese Medicine (TCM), the lungs are strongly associated with dryness and one of the lungs' functions is to send moisture throughout the body, including to our skin. The lungs are also very sensitive to changes in temperature, such as those we experience more intensely in the winter. Practitioners of TCM may find that patients with chronic dry skin actually have a lung imbalance. Moisturizing alone won't correct this imbalance, but acupuncture can. 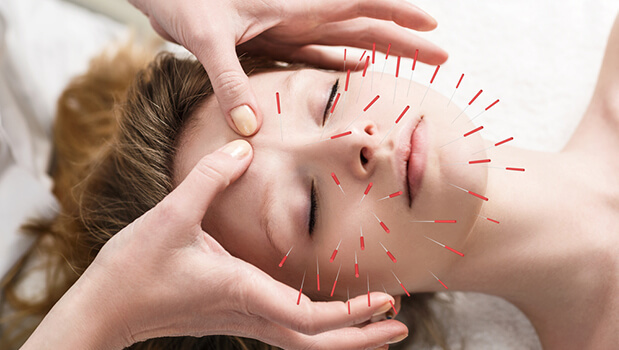 In fact, acupuncture has been used for thousands of years to help treat skin conditions, including dryness. If moisturizing hasn't helped your dry skin, talk to an acupuncturist and get his or her opinion. The practitioner may recommend a mixture of acupuncture, dietary changes, an herbal remedy and other lifestyle practices that can help resolve your dryness issues — and your lung imbalance as well.